A question I get asked quite frequently is why I chose nursing. I didn’t always want to be a nurse. For the longest time I wanted to be a teacher. Since I was a kid I would play school in my room and “teach” my stuffed animals. I would play school all day, everyday. On career day at school I would dress up as a teacher. It was something I always wanted to be. Once I got to high school, my mind kind of changed on my career path. Let me tell you, going to a public high school after spending 6 years in a private school was culture shock! The idea that I had of being a teacher was nothing like what I imagined it to be. At that point, I didn’t really think I would enjoy being a teacher that much. I researched many different careers my 10th grade year, getting a feel of what I liked and how long the path would take to get me there. Somehow nursing is the direction I got tugged in. I don’t have some crazy, emotional, medical story that led me to choose nursing. No one in my family works in the medical field. Nursing was something I truly enjoyed learning about in school. The human anatomy and physiology is truly amazing. Our bodies can do amazing things. We can go through physical trauma and horrible circumstances and our bodies still compensate to try and survive. I have always been drawn to children. I love them and it’s always been on my heart to make a difference in a child’s life and I imagined myself doing that through my profession as a NICU nurse. So, I did everything I could to reach that goal. I imagined myself taking care of little humans, nursing them back to health so they could live fantastic lives and experience all the things that the families never imagined their child would ever getting the opportunity to do. 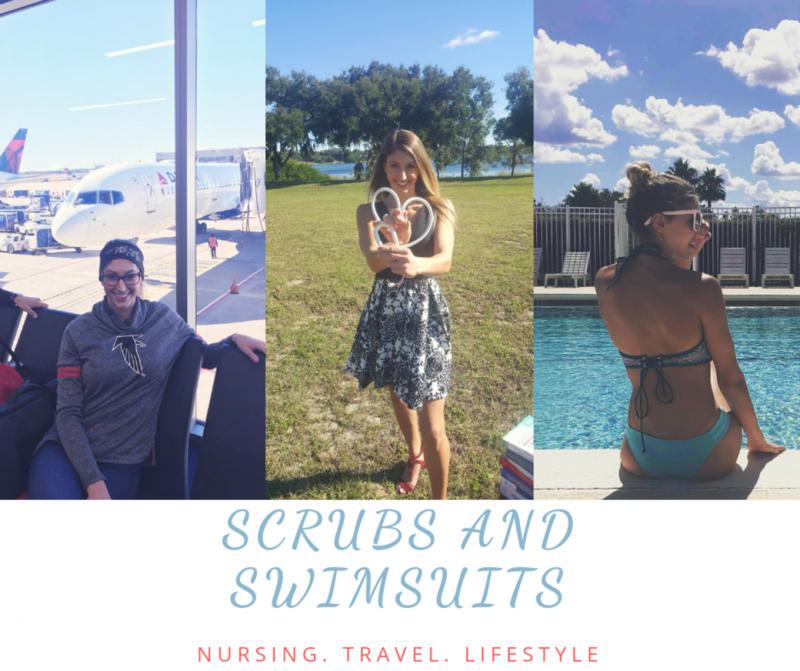 As I went through nursing school and learned about the different specialties, my mind started opening up to all the amazing things and opportunities that nursing provides. I started working in the Emergency Room while in school and I fell in love with it. I also went through my labor and delivery rotation and left in tears because I loved it so much. Each and every unit had something special and different about it that draws different people in that direction. As I went through my NICU rotation in school I was quite disappointed in the experience. As I spent 3 weeks in the NICU, I couldn’t really imagine myself working on such a unit for the rest of my nursing career. I love babies and I want many of my own one day, but it just wasn’t a unit I saw my personality lasting long in. The NICU is very calm and relaxing, almost. It’s almost like a break. I feel like I am being pulled towards a different specialty. 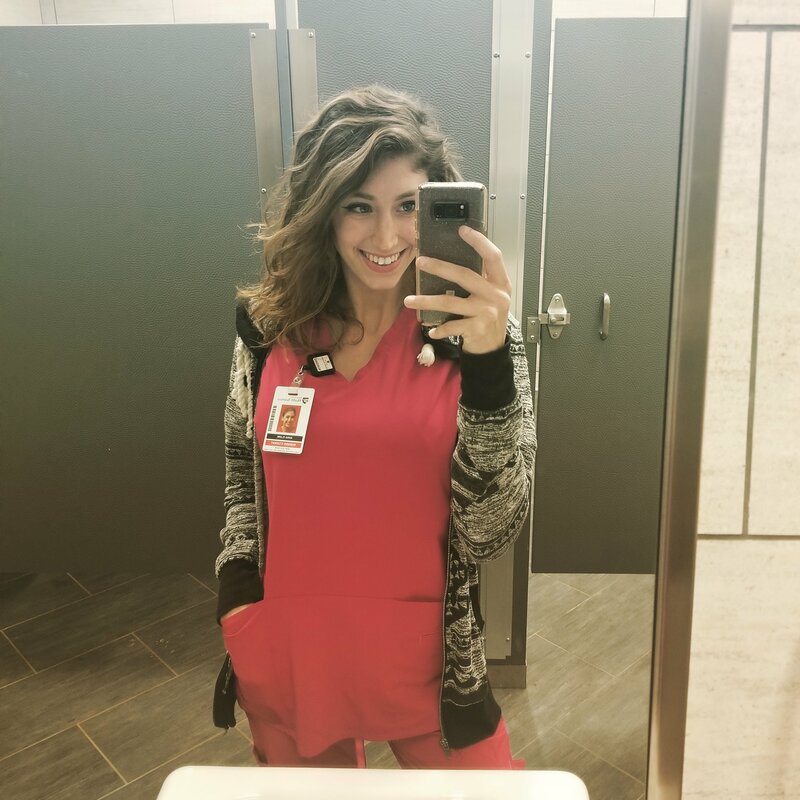 Even though my heart changed directions throughout the clinical experience, I was drawn to nursing in a way that I was never drawn to any other career. I knew that I chose the right profession. My heart feels so full being part of a career that I can help people everyday that I clock in. It’s fulfilling. It’s heartwarming. It was my third semester of nursing school when I realized just how right it felt working in the field of nursing. I was standing in the room of a laboring mom, listening to her cry and scream through each contraction, with her legs spread apart, watching, during her most vulnerable moment. Mom had come in with strong contractions minutes apart, no support system at bedside, as her husband was at work 2 hours away. This mom was all alone laboring to push out her brand new baby… an experience that I had the honor of being apart of. This was her second baby and she wanted the gender to be a surprise so she literally didn’t even know if it was a new baby boy or girl. Throughout the labor, I was holding back tears the entire time. Finally, the new mom pushed one last time, when her baby girl popped out into the nurse practitioners arms. The mother and I shared tears in the exact same moment. The nurse practitioner held the baby in her arms and announced to the new mom that her new baby was a beautiful, healthy baby girl. I literally could not contain my emotions and sobbed myself into another classmates arms. I felt like I belonged and I have never experienced so much joy and satisfaction in the nursing profession as in that moment. It was beautiful, it was emotional, and it was so incredibly rewarding. Seeing the joy of a life being born into this world is so satisfying. It’s like a career high. I have always been drawn to helping people and making a difference in people’s lives somehow. I simply just had to figure out in what way God wanted me to do that. When I say that my calling for nursing came to me randomly, I seriously mean that I woke up one day and just *knew* I needed to work in the field of nursing. Many people have medical stories that brought them to their discovery for their love of nursing. My love of nursing literally came to me overnight as if I was literally called by God to make a difference in the lives of my patients, patients’ families and even the lives of my coworkers. Listening to this calling has been an amazing journey so far and I’m so excited to see where I am in my future as a nurse.